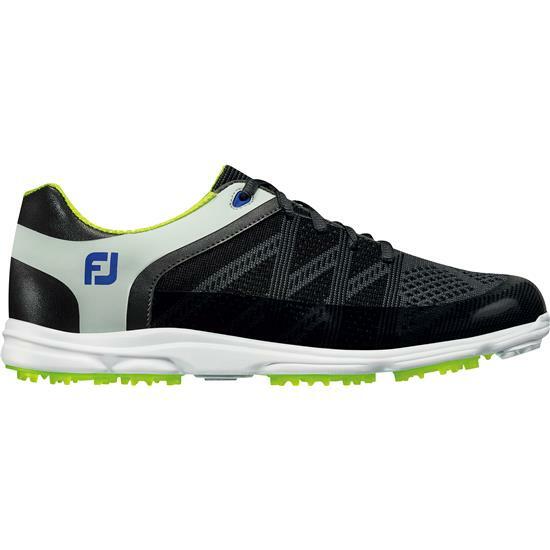 Bold athletic styling meets lightweight performance in the form of FootJoy Sport SL Golf Shoes. BreathEasy™ sport mesh uppers create a comfortable feel and optimal ventilation during warm rounds. EVA midsoles combine with a massaging footbed to enable remarkable underfoot comfort and support. Soft EVA outsoles with strategically placed TPU traction inserts deliver the shock absorption and traction needed for on course performance. You are about to post a review for FootJoy Sport SL Previous Season Style Golf Shoe for Women based on your knowledge of its playability. This review will show up under all variations of FootJoy Sport SL Previous Season Style Golf Shoe for Women, including new, personalized, and custom logo.